Montserrat is located 50km (31 miles) to the northwest of Barcelona. The massive and spiral rocks are significantly important in Catalonia. In these same mountains lies a monastery dedicated to the Virgin Mary, as well as small chapels and churches some of which are abandoned. There are small walks and small hikes throughout the mountain range. 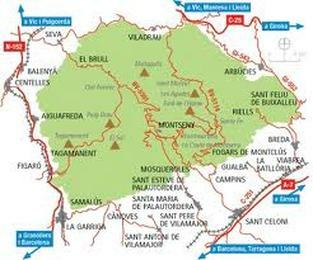 There is an easy 50-minute walk along the walls from Montserrat Monastery to the Degotalls, descending from the plats of the Trinity. From here you can see the Pyrenees and the flat lands. From the monastery to Santa Cove, you will encounter the most popular walk at Montserrat. This hour and a half walk is easy, but dose have a sharp ascension at the end. In this walk you will walk the main and most important pilgrim site, Santa Cova, where the Virgin Mary is believed to been seen. 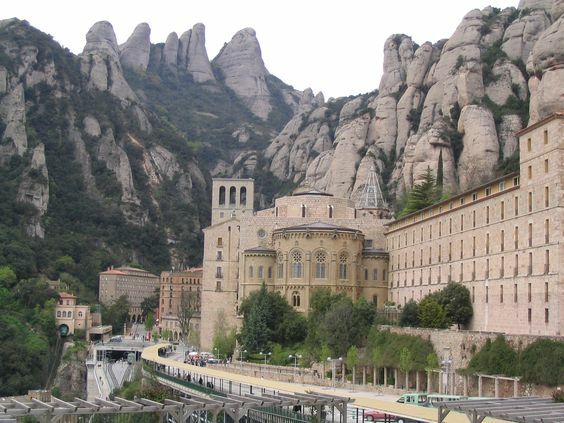 For a walk over 2 hours long, walk from Sant Joan Funicular to Montserrat. This hike brings you to the highest point of Montserrat Mountain and allow you to see different parts of the natural park. This natural park is located in the west coastal hills, north of Barcelona. Just an hour and a half away, escape busy Barcelona city and enjoy fresh, clean and mountainous air. In 1978 it was designated as a UNESCO biosphere reserve, while the government designated it as a natural park in 1987. It is home to a wide variety of traditional Mediterranean alpine fauna. It also houses lots of hidden megalithic structures waiting to be discovered! It has quick and long trails for any type of hiker and is one of the most popular hiking areas in Catalonia. Don’t be surprised if you graciously encounter other hikers on the wide open trails! Throughout Costa Brava not only will you find impeccable views of the Mediterranean Sea, you will also find stunning trails built for experienced and amateur hiker. Along the coast, near highways, natural parks and beaches, you will find hidden trails that ascend up the hills and end in incredible views only viewed by the fortunate. In Costa Brava hiking trails are scattered throughout the coast. Some trails lead to the sea in remote places, others lead to great rivers and natural parks. You just have to keep your eyes peeled for a trail that will catch your fancy. Hiking in the surrounding area of Barcelona is an incredible experience and a way to witness truly virgin fauna and areas barley known to man. 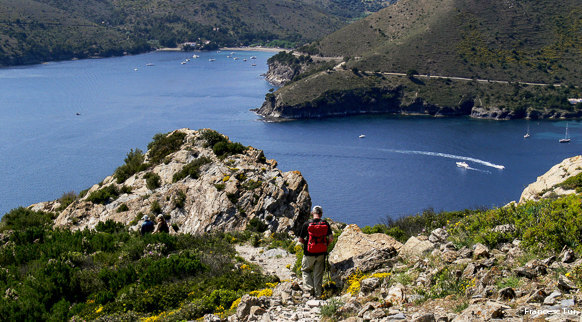 Experience the true wild Mediterranean forest on a hiking trail! To rest your feet, enjoy a relaxing stay with your family in Barcelona!